I had been using coconut oil to try to deal with the hands situation, but found that it didn’t do a very good job. I have since read that coconut oil is more of a skin “softener” than a moisturiser, it’s actually not that great at moisturizing. All the recipes I found for handcream had too many ingredients, and were too complicated for my liking (for me, that generally means it has more than 3 ingredients, and takes more than 10 minutes), but I found a very simple body lotion recipe on the asnomagarden blog. 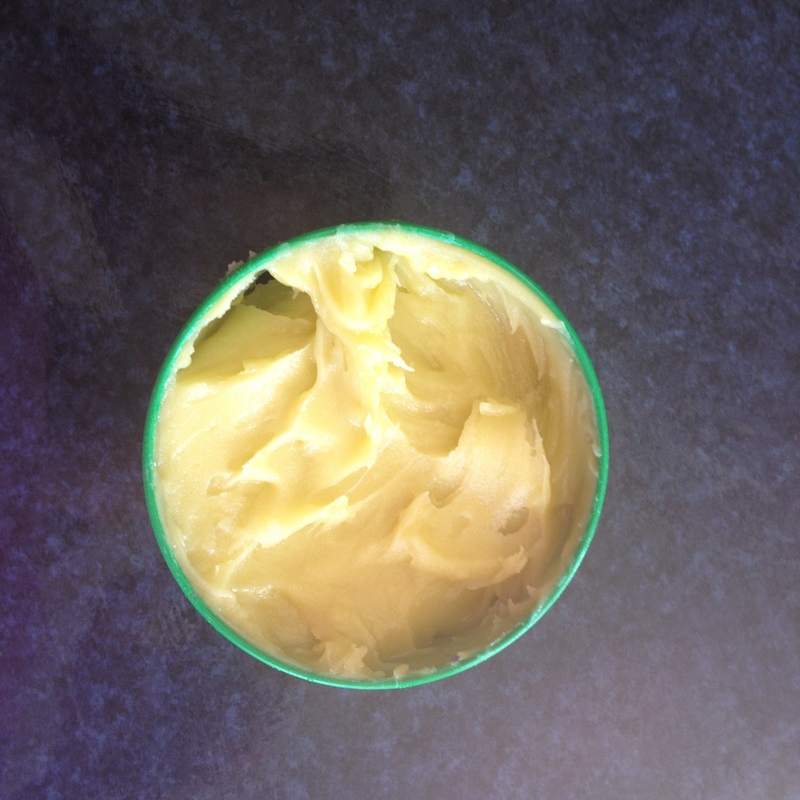 The recipe is for a beeswax lotion and it has the option of using 5 ingredients or 3, I obviously took the 3 ingredient option. I was happy to leave out vitamin E because I didn’t have any, and I was also happy to leave out the essential oils, as the recipe has quite a bit of beeswax in it and I have previously found that the scent of beeswax usually overpowers the scent of the essential oils. Besides which, I quite like the honey-ish scent that beeswax gives anyway. After about a month of using the body lotion on my body, I realised that my witch hands had gone. So there was no need to continue looking for a hand cream recipe, my body lotion, became my hand and body lotion. I then ran out of face cream, and as I also hadn’t been able to find a simple face cream recipe, I started using my hand and body lotion on my face. I was pretty happy with the results, so my hand and body lotion has become my face, hand and body lotion. So here is how you can make it. You just melt the beeswax and coconut oil in a saucepan, over a medium heat, and once melted stir in the olive oil. Pour into your containers. Once it has started to set, grab a fork and whisk it around a bit, keep doing that every now and then until it is fully set. This way it gets a that whipped, body butter feel about it. The one below is one I keep in my gym bag. Categories: Personal Care, Recipes | Tags: Beeswax, coconut oil, homemade body lotion recipe, homemade hand cream recipe, homemade hand lotion recipe, homemade lotion recipe, olive oil, recycled container uses | Permalink.